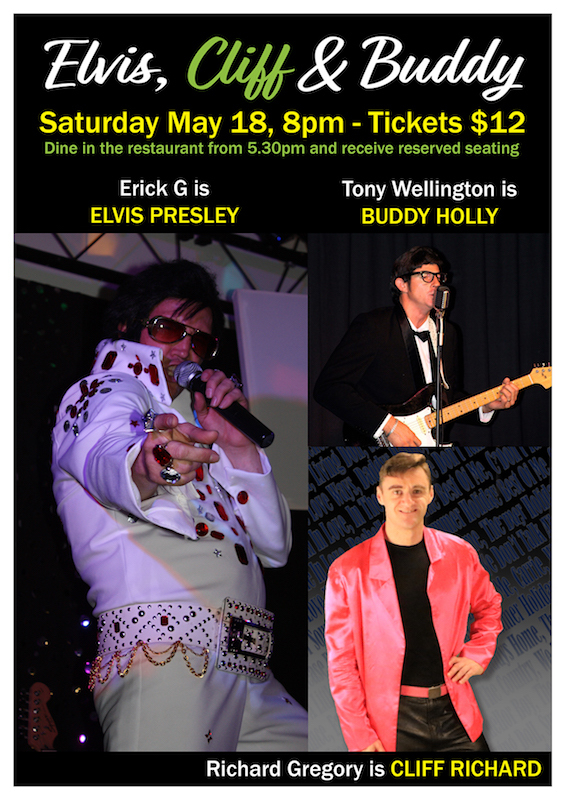 Erick G is Elvis Presley, Tony Wellington is Buddy Holly and Richard Gregory is Cliff Richard. All the hits in one dynamic show! Tickets 12 - Dine in the restaurant and receive reserved seats.